I'm a big fan of giving Isabella a variety of curries, as they're full of flavour and always freeze really well. The garam masala is a fragrant mix of spices, without the addition of chilli making it ideal for babies/children. However if you don't have any you could use a combination of ground coriander, ground cumin, tumeric, ground ginger and cardamon. Just add as little or as much of each spice to suit your child's palette. 1) Heat the olive oil in a large pan and add the paneer. Fry until golden brown, remove from the pan and set aside. 2) Add the cauliflower and onion to the pan, fry for 10-15 minutes. If you need to add more olive oil or a splash of water to stop anything sticking to the bottom of the pan. 3) Stir in the garlic and garam masala. Cook for further 2 minutes. 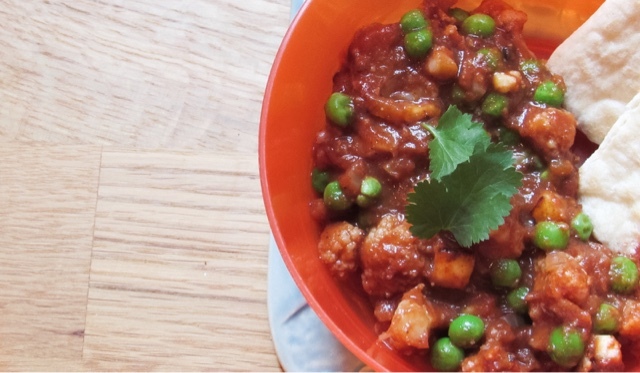 4) Pour in the passata and water, bring to a simmer and cook for 10 minutes or until the cauliflower is cooked through. 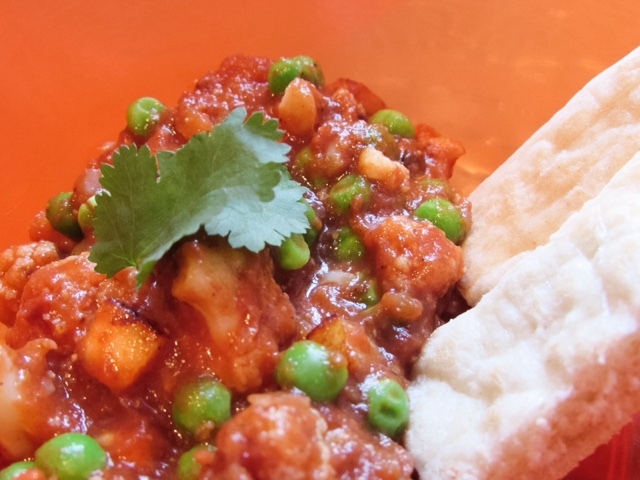 5) Add in the peas and cooked paneer, simmering for a final few minutes. 6) Serve with rice or naan/pitta bread and fresh coriander. 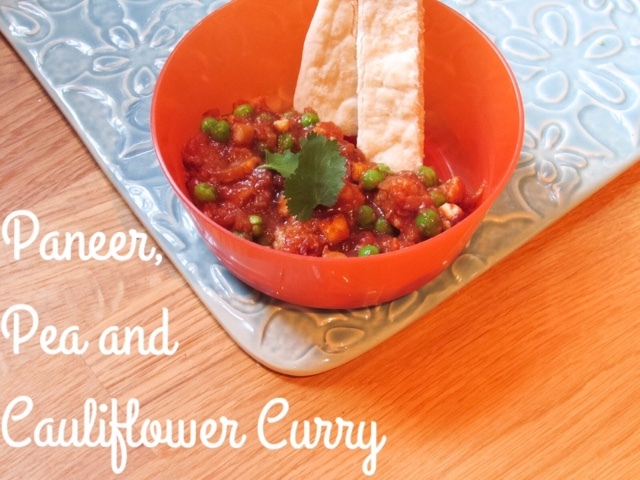 My youngest one loves curries and this would definitely be something he'd enjoy! This looks amazing! Pinned :-) Thank you for sharing at the Sunday Fitness & Food Link-Up! !